From early September to late May, we offer two worship services on Sunday at 9 and 11 a.m. From early May to early September, we offer one worship service at 10:30 a.m. Services last about one hour. The 9 a.m. service is interactive, intimate and family-friendly. Joys and sorrows are shared in a spoken-aloud format, and there are often other interactive elements of the service. Nursery care is provided. The 11 a.m. service (10:30 a.m. during summer months) is inspirational, reverent and familiar, and there is less expectation of interaction. The children are present for about the first 15 minutes, which includes a ritual of joys and sorrows, and the children then leave for their regular religious education classes. Nursery care and our full religious education program for preschool through high school are offered at this time. Although each of our services is unique, services usually begin with a welcome from a member of our Board of Trustees and occasional special announcements. Interspersed with a variety of music and hymn singing, the typical service also includes the lighting of the chalice, one or more inspirational readings, a sermon or homily, an offertory, an opportunity to express joys and sorrows, and a closing benediction. After the service we gather back in the Greeting Area for fellowship, conversation, and coffee. Members of a group called the Worship Associates assist in planning worship services and also participate in conducting services. Our lay-led services honor our commitment to lay involvement in church leadership and our church’s history. We began in 1951 as a lay-led fellowship, and thus all services were lay led until we called our first minister in 1980. 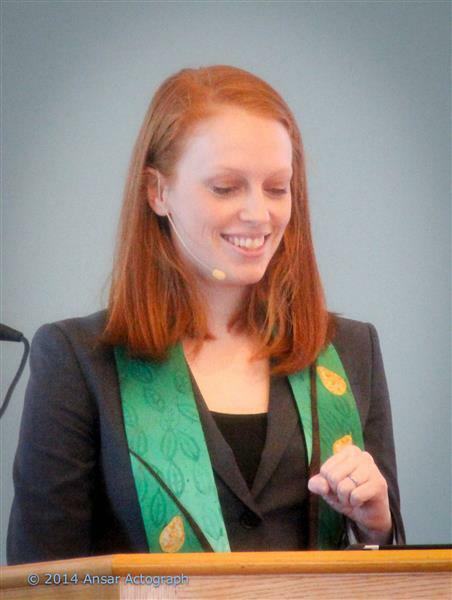 From September through May, the minister steps down from the pulpit one Sunday each month, and the service is entirely lay led, usually by one of the groups in the church, such as the Writer’s Group, Social Action, or the high school youth group. During the summer, the minister is in the pulpit half the time, and the Worship Associates organize lay-led services the rest of the time. 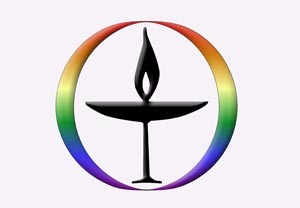 These services are often non-traditional and unique, and allow individuals to speak to a topic of interest or lead the congregation in exploring a variety of activities related to the many facets of worship and spirituality. Summer service topics have included an Animal (Pet) Blessing, Silence, What It Means to be an American, and the Honduras service trips. From early September through late May, we offer two worship services at 9 and 11 a.m. on Sundays, unless otherwise noted. From late May through early September, we have one worship service at 10:30 a.m. on Sundays. On our Home Page you will find details about the worship service for the coming Sunday. Worship plans for each month appear here. 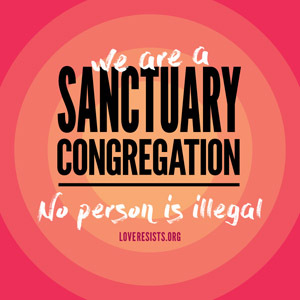 Services at 9 and 11 a.m.
To whom and to what do we surrender as Unitarian Universalists, and how do we decide? Join us this week to reflect on April’s loaded word. Let go, give up, surrender. We will be joined by special musical guests Hitt Street Harmony. Join us to surrender all of your expectations of what is possible. Arun and musical guests will share virtuosic musical works with us, and Rev. Molly and Marques will reflect on the transcendence of human abilities and the way art can carry us away. What meaning does the central story of the Christian tradition hold for Unitarian Universalists, with our diverse beliefs and backgrounds? Can we surrender ourselves to the mysterious power of resurrection? Join us to reflect together and enjoy beautiful music from a guest string quartet. While personal actions are necessary to preserve the health and wellbeing of the planet, they are not sufficient. This Sunday we will explore what it means to work with those most affected by environmental harm. A Tenebrae service is a traditional Christian service of descent into darkness held during the final three days of holy week before Easter, representing the death of Christ. It is commonly practiced with solemn music, readings from scripture, and the progressive extinguishing of candles. It recognizes that the victory of Easter morning is always preceded by the despair of Good Friday. Tenebrae service will feature contemporary readings representing all the ways people are “crucified” in this world. We will also share beautiful, solemn music, and a growing darkness. Join us. Every particle of my being resists surrender to all the things I cannot control. But when life keeps wresting control away from your grasp, you are forced to learn a few things about surrender. And here is one thing I learned – releasing my grip made way for creativity and even pleasure. Letting go of the workday I had planned yielded a beautiful day of baby cuddles. Letting go of the service we had planned yielded an exciting experiment in Facebook Live worship. And all of it forced me to learn my life’s greatest lesson again and again and again – that life is not clay for me to mold. I am the clay, being shaped by a life that moves over and within and around and through me. What beauty can our surrender create? Let’s find out together! See you in church! I believe that one of the central tasks of Unitarian Universalism is to wrestle with big ideas. We are not a people to let a thought lie, but rather we turn them upside down and around and examine every inch. We know that words and ideas have formative power in our world and that we must contest in the public sphere for language that is precise and powerful and true. To do this, we must first do our own grappling. This year, we will be going deep each month with a “loaded word,” exploring what we think we know about language we may use every day or reject out of hand. Some of these words are already complicated for us, as people with many experiences and beliefs seeking meaning together. Some of them might feel easy to us… too easy, and might be calling us to challenge our assumptions. All of them, I hope, are ripe for deeper examination. Join us to wrestle with them all together.